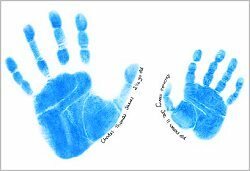 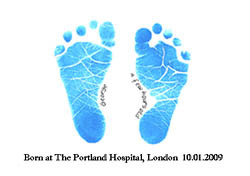 Add some personality to statistics and have your own baby's hand or foot prints on Birth Announcement cards, Christening cards or Thankyou cards. 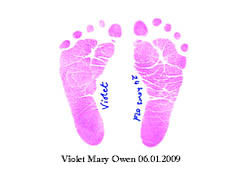 Our easy-to-use Babysafe kit enables you to take your baby's prints from the minute they arrive. 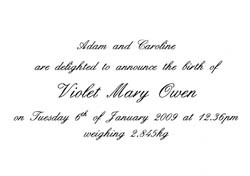 Sample cards are available on request. 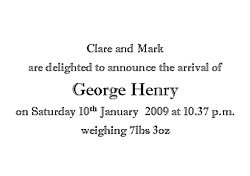 Includes envelopes which can be dispatched ahead of the cards.